Weld seam flaws – no matter how small they are – can lead to serious consequences. 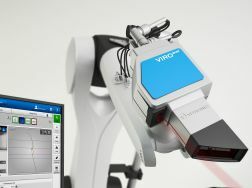 The optical 100% inspection system VIRO WSI delivers reliable quality control 24/7 – ensuring that only flawless components continue on further into the production process and enabling rapid intervention should production variances occur. The laser triangulation-based VIRO WSI inspection system can be flexibly integrated in existing production lines to detect the slightest deviations in brazed and welded seams. It inspects axle components, bodywork, wheels, seats, exhaust systems and battery modules. The inspection solution provides accurate, consistent, and reproducible inspections, regardless of external influences. VITRONIC is setting standards with an intuitive, graphical guided user-interface and extensive analysis options. The inspection system enables an easy teach-in of inspection sequences and limits. Users can also select from a wide range of configuration functions. Inspection results are also presented in a very clear and structured format. All data is immediately accessible in real-time statistics. In parallel, it is stored in an integrated database where it is linked with component and seam ids for subsequent tracking, evaluation, and statistics. The system offers optional visualization stations for manual rework. Here, workers can view individual seam inspection results of the components. Furthermore, workers can input completed rework in the system and document it together with the inspection results. Along with offering visualization stations for manual rework, the VIRO WSI system also provides data for automated rework. Used by premium manufacturers for many years, VIRO WSI not only enables more efficient processes but above all: higher product quality with less waste. 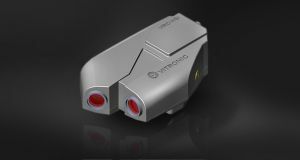 Along with the well-established HDR sensor for inspecting MIG/MAG seams, VITRONIC has now added a HDR-HR sensor to the VIRO WSI weld seam inspection system, which also inspects fine laser and brazed seams at 6m/min inline and with an exceptionally high degree of accuracy. Since its founding in 1984, VITRONIC has grown continuously and is currently represented by about 900 employees on four continents. VITRONIC offers support to international customers through its subsidiaries in North America, Europe, Asia and Australia, as well as through a global network of sales and service partners. VITRONIC systems are developed and manufactured at the company's headquarters in Wiesbaden. In 2016, the VITRONIC group generated total revenue of over 125 million euros.